A group of Yale researchers recently conducted a jury trial study. They formed a group of 471 “jurors” of various body sizes to read a case surrounding the crime of check fraud while viewing one of four possible images of the “defendant.” Each image depicted a lean female, a lean male, an obese female, and an obese male. The participants in the mock trial were asked to rate the culpability (or guilt) of the defendant on a 5-point scale. 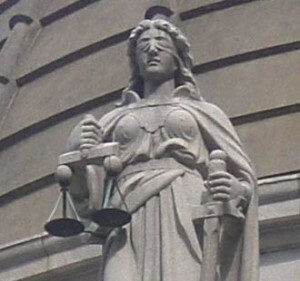 The results of the study showed no bias when women evaluated the female defendant. They also showed no bias when either the men or women judged the guilt of a male. Interestingly though, male jurors were significantly more likely to label an obese female defendant as guilty based upon the same evidence. Lean male jurors were even more harsh, believing she was aware of her crime and would be a repeat offender. One of the researchers of the study, Dr. Natasha Schvey suggested that stereotypes about obese people contribute to beliefs that they are selfish, greedy, and therefore prone to crimes such as check fraud. Perhaps society views obese females as having impaired impulse control. Maybe society views obesity as morally wrong. Maybe the view is that larger women are unhappy with their situation and are more likely to engage in criminal behavior. It’s possible that all of these situations somehow contribute to a negative bias toward overweight females. In any case, it’s depressing to see that a male juror would—consciously or subconsciously—cast a guilty vote based on personal appearance in spite of identical case facts. If you or a loved one are charged with a crime, contact Irvine criminal lawyer Staycie R. Sena for a free consultation at (949) 477-8088.